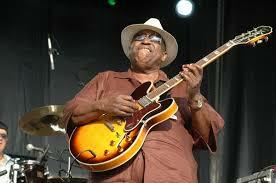 LIVING BLUES LEGEND - MR JOEY GILMORE. FREE! Don't miss this rare free afternoon of the real deal Delta Blues and old school soul by one of the greats and a true living legend MR. JOEY GILMORE - AKA THE BLUESMAN and trio! www.joeythebluesman.com Winner of the prestigous Blewzzy Award and the Memphis Blues Challenge, which signifies the best Blues band worldwide! 1-5pm.